It's a time-honored tradition, a cliché even, to state that Gospel music has birthed the various forms of music that enjoy popularity today: jazz, blues, hip hop, rock and beyond. With Goodbye, Babylon, the double Grammy nominated, stunning 6-CD boxed set, the reality of that statement hits home hard. Lovingly assembled and beautifully crafted in every conceivable nuance by Lance Ledbetter, of Dust To Digital Music, this is a project that is compulsory listening for anyone, indeed, everyone who is even remotely serious about the roots of Gospel music. 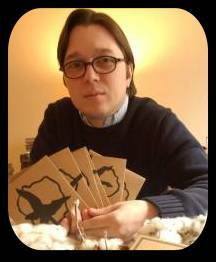 Five of the six CDs in the set comprise 135 songs, divided thematically into discs with subtitled "Introduction", "Deliverance Will Come", "Judgement" and "Salvation". The last disc, "Sermons", is just that, an astounding collection of recorded and commercially-released sermons of African-American preachers. Often accompanied by a handful of congregants or a lone instrumentalist or two, these are fascinating segments in and of themselves. Consider "The Church and the Kingdom" from Elder J.E. Burch and "That White Mule of Sin" from Rev. George Jones. As for the packaging, the CDs come in sturdy pocket sleeves, emblazoned with design elements which put together, form the image of a cotton plant in the form of a cross. 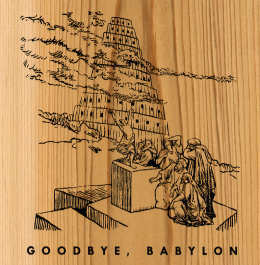 And there's real, live cotton on the inside too, for it serves as packing material for the contents of the box the box itself being cedar and imprinted with graphic depicting the Tower of Babylon. And then there's the book, a 200-page bound volume which devotes at least a page to each and every track on the disc, including photos for each, and transcript of each or sermon's lyrics. There's also a relevant scripture reference for every cut. Digging into the music is, of course, the joy of a project like this. Ledbetter made the decision to abandon segregation, with the result being a glorious mix of material from artists both black and white. Presented this way, you can see the cross-fertilization of the two societies. Thomas Dorsey's early "If You See My Saviour", with guitar and piano accompaniment, sits nicely alongside cuts such as "Hide Me In The Blood Of Jesus", from Blind Benny Paris and Wife. And where else could you hear artists such as Samuel Jones (aka Stovepipe #1) singing with rack harmonica and guitar, "I've Got Salvation In My Heart"? 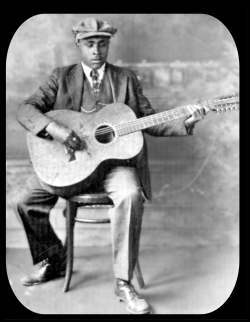 For every Mahalia Jackson, Hank Williams and Rev. Gary Davis song, there's something from Bela Lam and His Greene County Singers, Elder Golden P. Harris and Luther Magby. Mother McCollum gets original with "Jesus Is My Air-O-Plane", especially considering that she recorded this one (with slide guitar) in 1930 not that far removed from the Wright Brothers themselves. Roosevelt Graves and Brother set some familiar words "Woke Up This Morning (With My Mind On Jesus)" to tambourine and guitar. They can also be heard on "I'll Be Rested (When The Roll Is Called"). The Dinwiddie Colored Quartet, in a very early 1902 recording of "Down On The Old Camp Ground" is a must-hear, as is Laura Henton on "He's Coming Soon", accompanied by brass bass, guitar and piano in a fascinating field recording. Gospel pioneer Arizona Dranes, the blind pianist signed to Okeh Records whose stylingings heavily influenced later artists such as Roberta Martin, Alex Bradford and Sister Rosetta Tharpe, impresses on her piano rendering of "Crucifixation", recorded in 1926. Of course, with 135 songs, there's a whole ton more, from sacred harp singing to sacred blues to jubilee songs and acapella chants accompanied by wood chopping. And with that 200 page book that comes with Goodbye, Babylon, you can read about it and view the photos while soaking in the audio. You really can't ask anything more from an anthology than this. And it's all Gospel! !